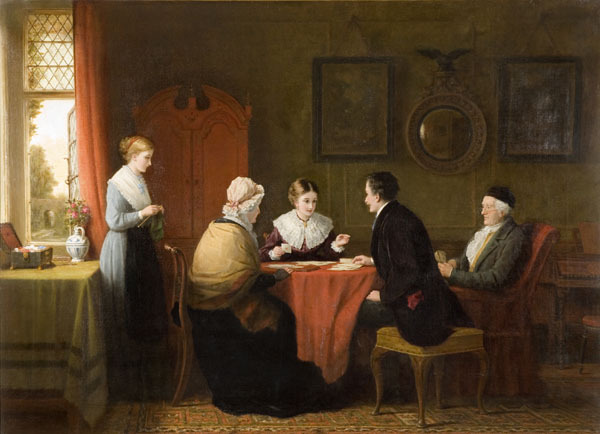 Summary: Oil painting showing a middle-class family playing cards around a table. 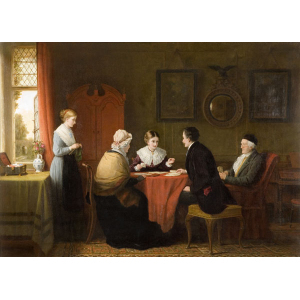 Description: In this painting we can see a middle-class family playing cards around a table. According to the title the game must have gone awry. Compare this painting to another of Hardy's, `Pleasant Pages': the window and the table displaying a small chest and vase with flowers in are almost identical.